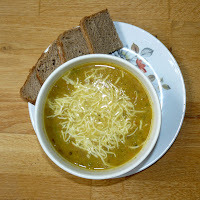 I have had a lot of recent requests for my courgette (zucchini) soup recipe, as it seems I am not the only one with a potager glut at the moment, so here it is. Bon Apetit! Sauté a finely chopped onion and 1 tsp of cumin seeds in some olive oil or butter, add 1 or 2 cloves of garlic and then add the diced courgettes (however many you have). Season with salt and pepper, 1 tsp each of ground turmeric and fennel and then just cover either with chicken or vegetable stock and simmer until the courgettes are tender. The great thing about soup is that anything goes, if you don’t like some of my spice choices, or you want some extra heat from a chilli then go right ahead. I always use a homemade chicken stock and find this with the courgettes makes a creamy soup that is more than thick enough for me, but if you want to add a potato to give more body please do. This recipe can also be used with butternut squash, pumpkin or any other member of the squash family. When cooked and cooled a little, blend until smooth. This soup can be served warm or chilled and also freezes very well. In the winter I love to add a generous sprinkling of grated cheese to warm soup for a comforting lunch, but in the summer a chilled bowl with a swirl of natural yoghurt, or some finely diced fresh tomatoes and basil leaves sprinkled on top makes a very refreshing meal. For something a bit special a poached egg added to either the hot or cold soup is also delicious. I love to serve my walnut bread with this soup. For me this humble courgette soup is something very important. I love everything about growing courgettes from germination through to harvest, they fascinate me and being able to make something so simple, tasty and healthy during the summer that I freeze for winter is superb. Our winters can be very cold and the warmth of a soup for lunch plus the positive memories of warmer days and good harvests keeps my winter blues away. 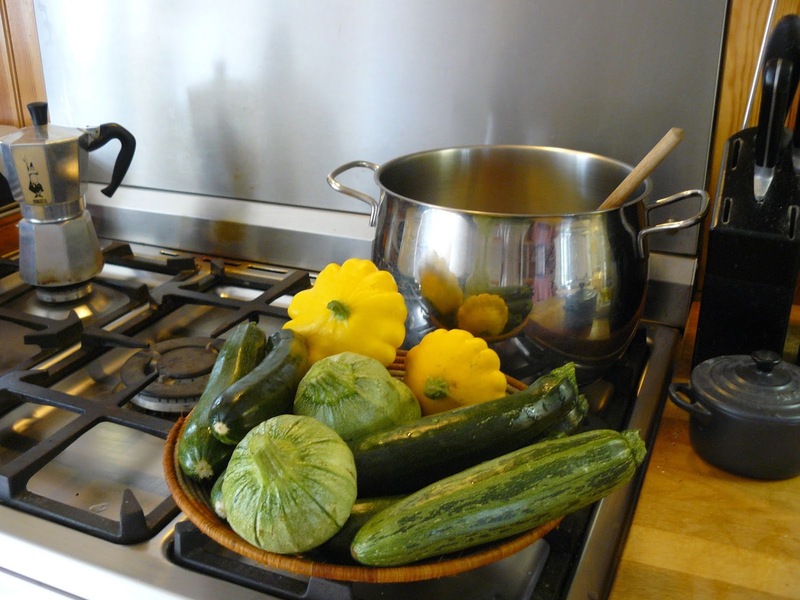 Thanks for posting - I have a glut of yellow courgettes so will definitely make this and eat some chilled and freeze some too. I'm jealous of your yellow courgettes Cathy as we didn't grow any this year and I'm missing them! Hope you enjoy the soup. This sounds wonderful---I can't wait to try it!